KW Materials Handling is proud to introduce KWIK-STOR. 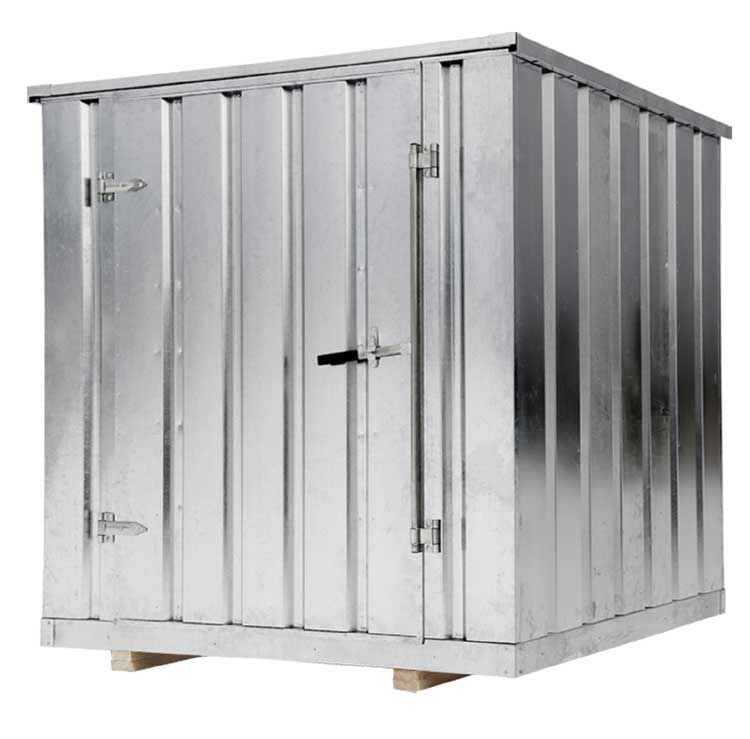 Our new self-contained, affordable, weatherproof, portable storage units boast more features than any other container on the market. 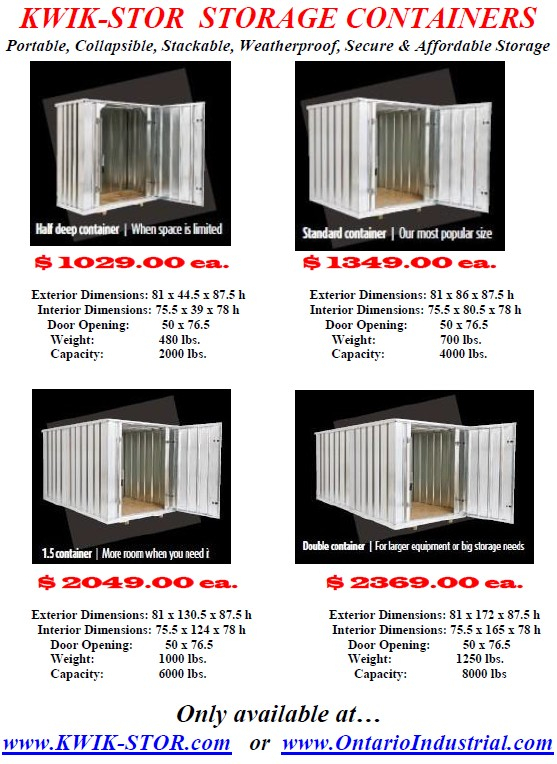 Please go to our new KWIK-STOR.com website to view all of our containers. Do you need additional space to store excess inventory or to keep valuable equipment or supplies secure? Are you in the construction industry, getting ready to sell your house, or just spring-cleaning? Have you discovered that you do not have room for all those things that you would like to keep? Is your current storage method too small and your garage filled to the brim? Don't panic! KW Materials offers convenient, economical and secure portable storage containers, for all those items that you might not want now, but would need later. KWIK-STOR offers a perfect solution to cluttered personal and business lives. Whether you're looking to store just a few items, or put most of your possessions in a safe place for a few weeks, months or years, our portable weather protected storage containers allow you to secure your possessions, where and when you want them! KWIK-STOR containers are manufactured in one size and can be linked end to end at any time after initial assembly to create a larger storage space. Their portable nature means that they can easily be moved with a forklift or returned to flat-pack form for storage or to re-build in a different location. 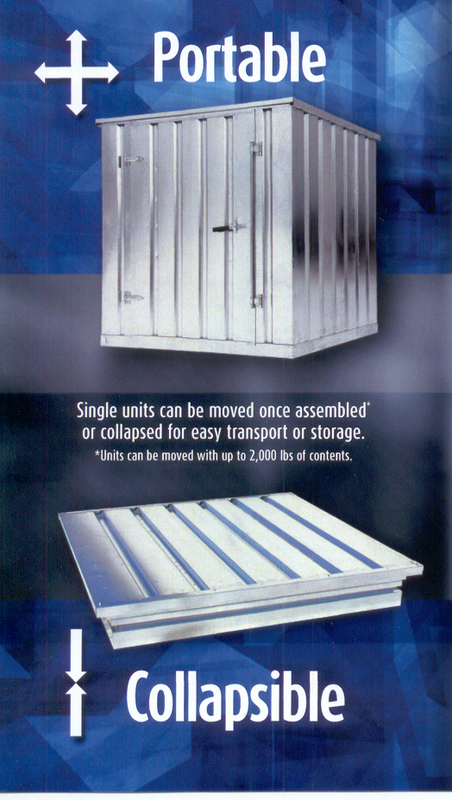 Single containers can be moved with up to 2000 lbs. inside! Once assembled, the fully galvanized steel KWIK-STOR container units are remarkably robust, with a heavy-duty lever and hasp and a high security bar lock with tamper proof fasteners that will deter the most determined thief. Assembly of the container is simple and can be carried out by anyone with basic DIY abilities. The components are light enough to be carried by two people and small enough to fit through a standard man door. Not only are these containers designed for long life, they are also designed with simple transportation in mind. Man-Movable - components can be moved by hand - No lifting gear or cranes required. Portable - dismantles back into flat-pack form quickly. Modular - additional units can be added back to back at any time. Complete - everything required for assembly is in the kit. Secure – superior heavy-duty lever and hasp along with high security bar lock and tamper proof fasteners. Simple Assembly - Complete instructions included. Versatile - once erected, it can be lifted with a fork-lift and moved easily – even with 2,000 lbs. of contents! Replacement parts can be shipped within days if the storage unit gets damaged.